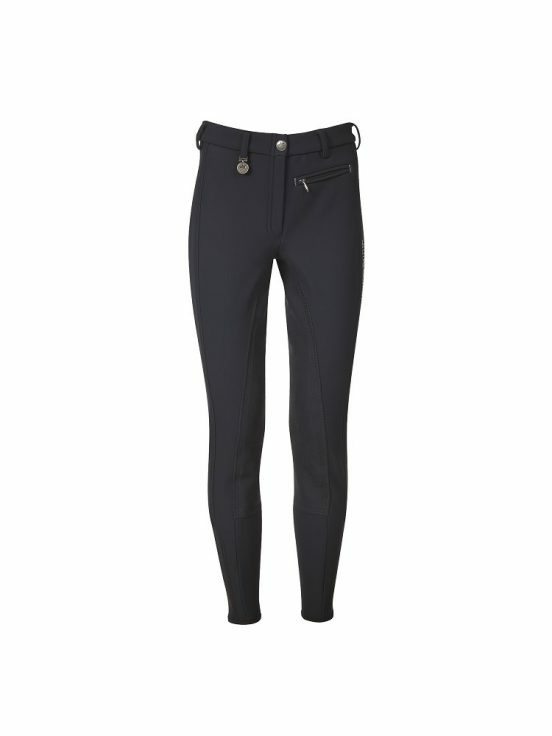 Fashionable girls breeches with 2 convenient slanting pockets, strass application on front and rear of breeches. 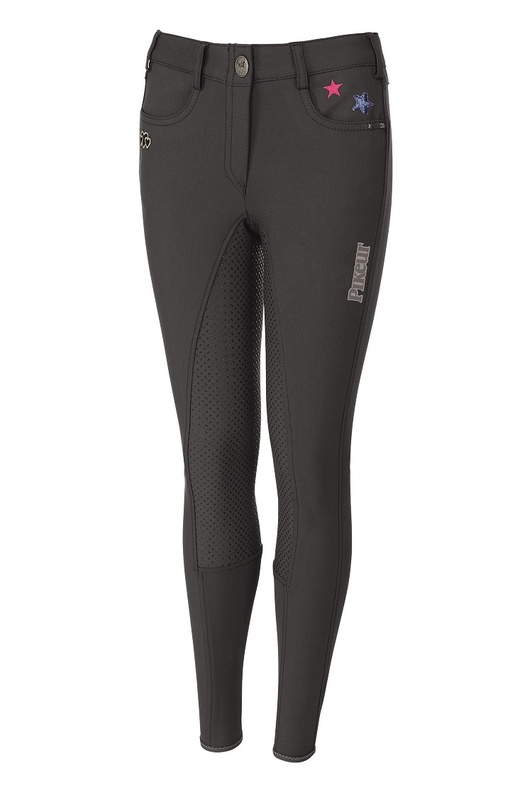 Lower rise waist with 3/4 grip seat panel and stretch leg insert on inner side. Available colours black, nightblue, white and steel grey. 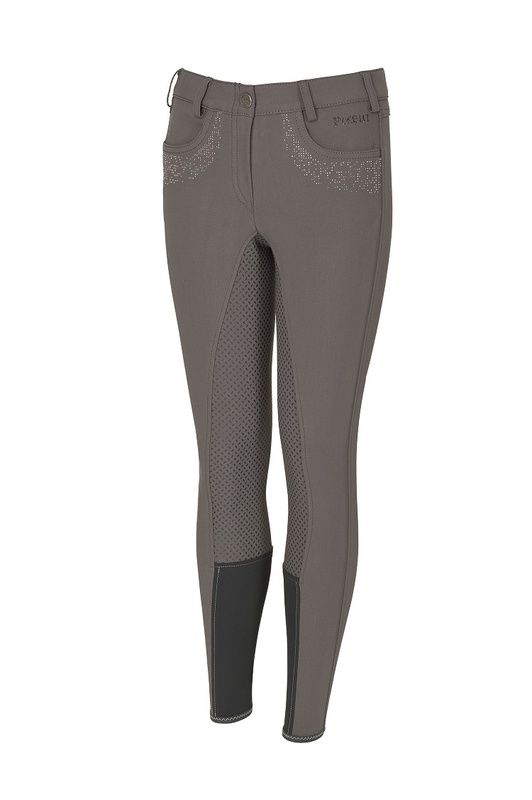 4 pocket youths breeches with constrast stitching and stud application. 3/4 grip seat panel and stretch leg insert Pikeur transfer print on side for colours black, nightblue, steel grey and dark shadow. 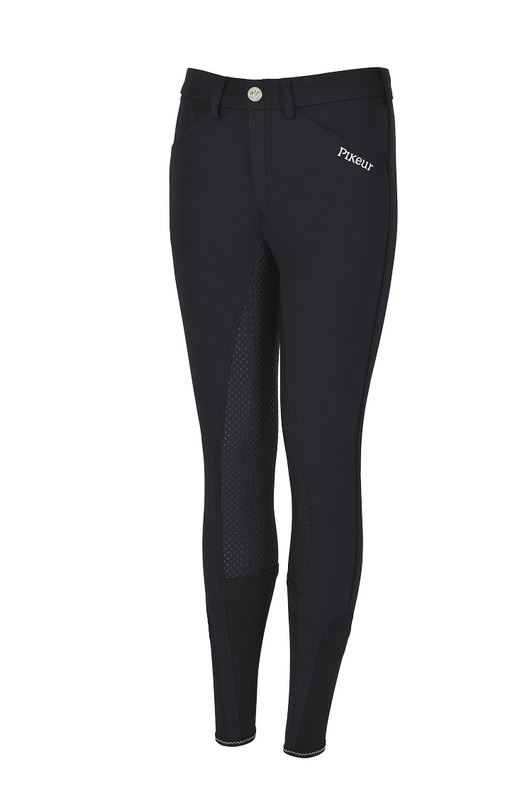 Available colours: black, nightblue, steelgrey, dark shadow and white. 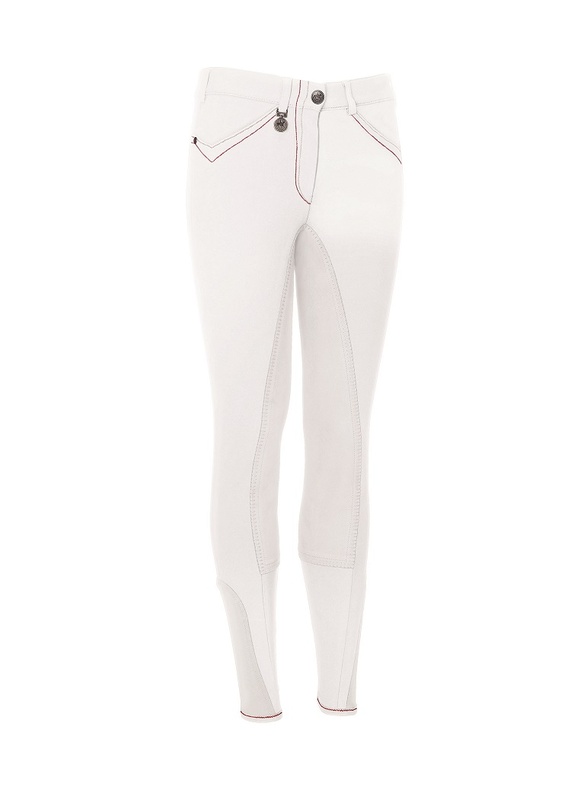 4 pocket childrens and youths breeches with 3/4 McCrown seat panel. Constrast stitching with stud application. Available in white only. 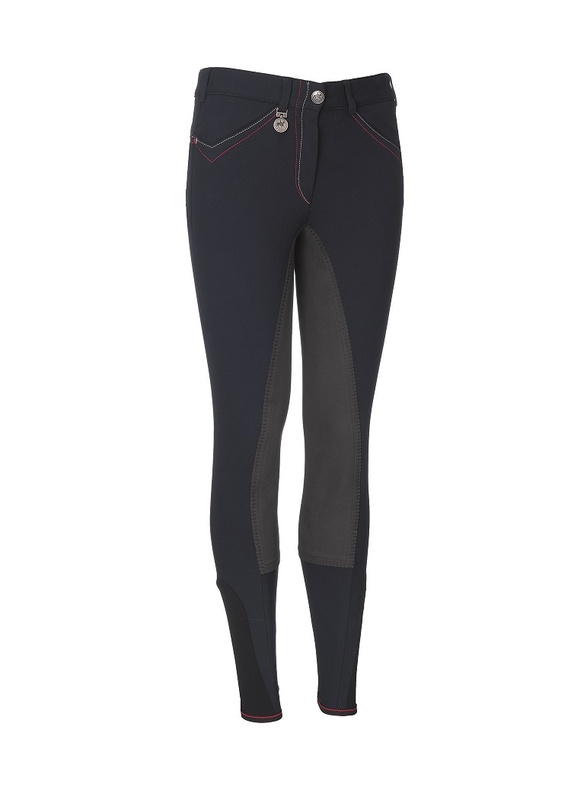 4 pocket childrens and youths breeches with medium waist height. Pikeur transfer print at side and modern contrast stitching. 3/4 McCrown seat panel in contrasting colour. 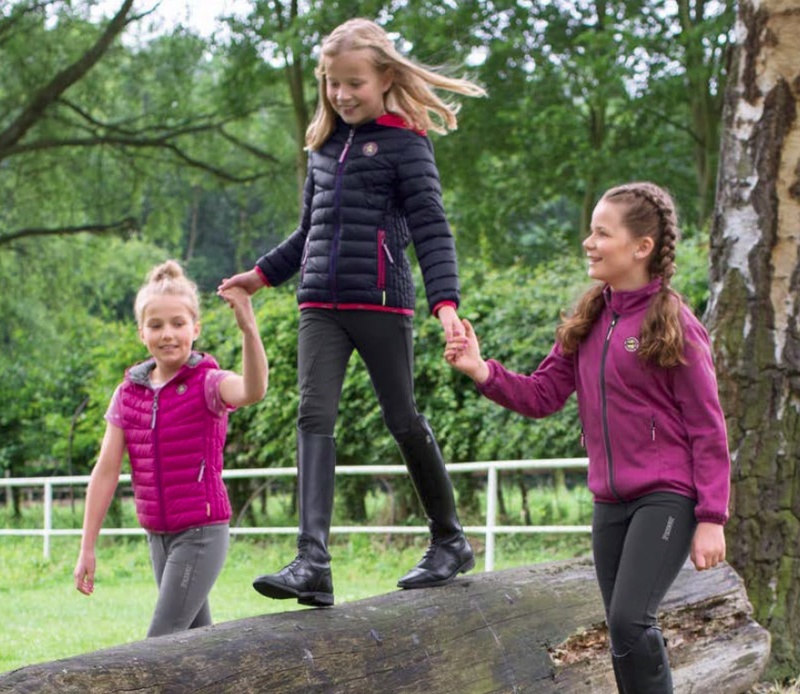 Highly elasticated Softshell quality with warm fleece inner side for winter. 3/4 seat panel with stretch leg insert. Available colours: black, nightblue and dark shadow. 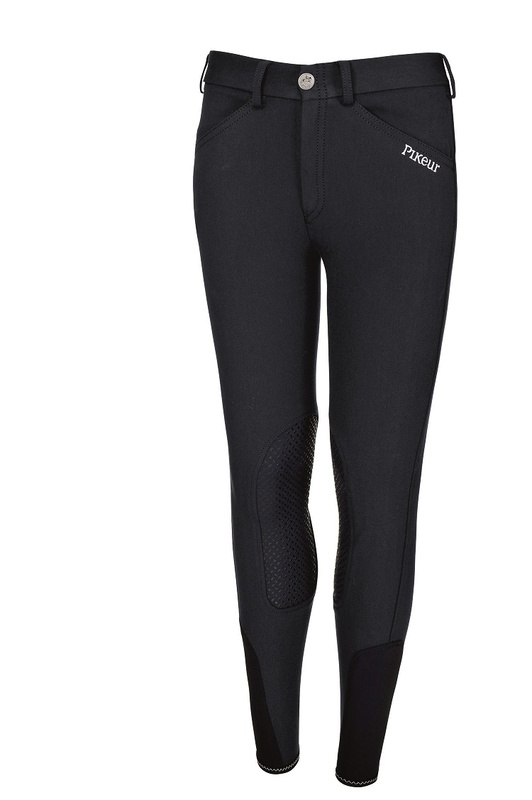 Close fitting style with grip knee inserts, 2 slanting pockets in front with Pikeur emblem and stretch insert at ankle. Fashionable girls breeches with 2 convenient slanting pockets. Lower rise waist, 3/4 grip seat panel. Strass application at front and back of breeches. Lower waist height with 3/4 grip seat panel. 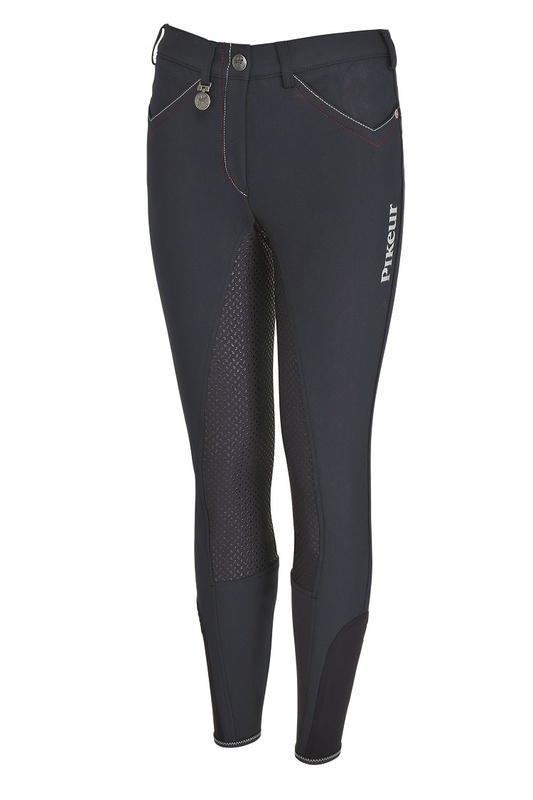 Pikeur label on the side. Shorter waist height 3/4 McCrown seat panel. 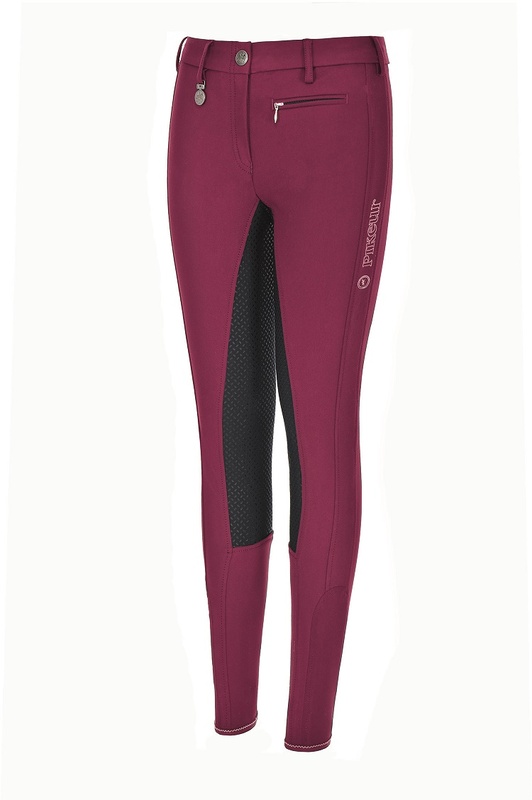 Labelled side stripes with stretch leg insert.